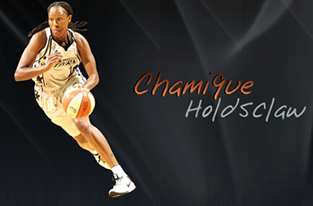 I met Tim McCullough when I injured my knee playing basketball for the WNBA’s Washington Mystics. Tim did an excellent job of decreasing my pain, improving my strength, and progressing my agility for a safe return to Professional basketball. Tim re-trained me to load my leg correctly and without pain. He recognizes the need to restore the athlete’s normal movements for their sport in a safe way, restoring our confidence and reducing our fear of re-injury. Tim’s experience as an Athletic Trainer allows him to be in sync with the demands and needs of Athlete’s. Tim worked with teammates in the WNBA and NBA players and understands the how to work with Athletes at the highest level. Tim’s talent, experience, and caring approach makes him a great choice for your Sports Medicine needs. I highly recommend Tim to anyone needing Physical Therapy. 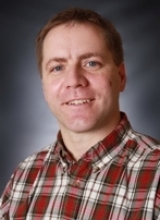 I have known Time McCullough for 15 years as a dedicated and knowledgeable Physical Therapist. I have trusted him to treat professional athletes, friends, an myself on one painful occasion. He was mentored by the best Physical Therapist I have ever worked with, "the late" Peter Boyle. Time treats with the same passion, intuitiveness, and diverse skill set as Peter. He is successful treating the most difficult cases and finding creative ways to be successful with these patients. Tim continues to seek cutting edge professional training in both Sports Medicine and Manual Therapy. 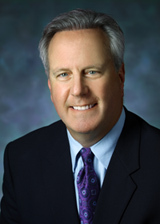 His broad range of education and experience in Orthopedic Physical Therapy makes him invaluable to any community. I highly recommend Tim as an excellent Physical Therapist, and we have received excellent feedback from all of his patients. I know, given the opportunity, he will work his hardest to help his patients get better. I give him my highest unequivocal personal recommendation as a physical therapist. Over one's career, we all hope to learn, grow and become the best at whatever path we chosen to follow. As a physical therapist for 15 years, most of which I have spent in the realm of elite athletic sports medicine, I have been blessed to learn from some of the greatest minds in the medical profession. There have been many highlights in my short career to this point, all of which have shaped how I view the human neuromusculoskeletal system and my approach to treating the world-class athletic population that I care for. I can say, without reservation that the time I spent working alongside Tim McCullough was one of those occasions, not only for the excitement and passion Tim has for the profession, but for his depth of knowledge and unwavering commitment to the patients who sought him out specifically, often waiting for weeks or traveling long distances to receive care. Tim is a master clinician who specializes in treating the human body, whether the injury is an acute athletic one, or someone suffering chronic back pain. His approach to evaluation and his use of advanced manual techniques and specific corrective exercise prescription put him in the very small circle of Physical Therapists I would trust implicitly to care for my family. 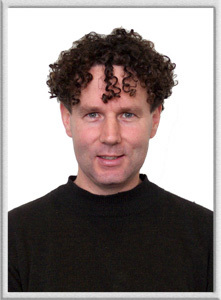 Tim McCullough was a physical therapist with Sports and Spinal Physical Therapy in Washington DC from 1998-2009. During this time period, I personally referred many of my patients to him and always received positive feedback. He is a dedicated and passionate therapist who gives his patients the attentive and individualized care needed for a successful recovery. Tim has proven to be highly educated in manual therapy, sports medicine, and orthopedic physical therapy, which has allowed him to treat a wide variety of conditions and patients. Based on my personal and professional experiences with Tim McCullough, I would highly recommend him as a Physical Therapist. In 2002, I had a THR after suffering a sports injury years earlier. Before the operation, I had significant atrophy on my right side, along with serious muscular issues in my back that resulted from compensating for the ever-increasing lack of hip mobility as it progressively lost its working range of motion. The operation was a success and I was referred to Tim McCullough for professional PT. Tim worked on the hip. But more importantly, he set up a personally tailored program that strengthen core groups of muscles so that I built the proper physical foundation. I literally had to learn to correctly walk again. I also had to build the confidence so that I no longer favored one side over the other. Tim put together an ambitious program, which paid dividends almost immediately. 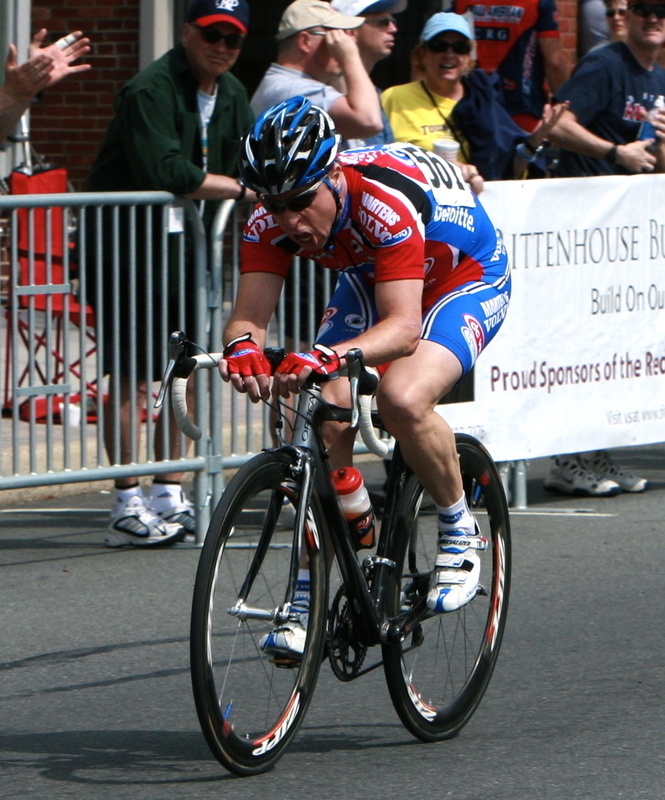 Before the injury and operation, I was a competitive bike racer. Post operation, my goal was to return to competitive bicycle racing--not just to compete, but to win. Since adopting the PT regiment Tim developed (which I still use to this day), I went on to win many races, win many regional masters championships, and win a masters national title. I also began competing in the elite categories of cycling and began racing at a level that I was unable to previously reach. When one wins a national title, you are awarded a national title jersey. That jersey has eight white stars on the front, set against a blue background. The jersey is a representation of the American flag. I dedicated one of those few precious stars to Tim for helping me not only get my competitive sports life back, but help me transition into a national-caliber masters racer. Tim is an exceptional physical therapist and a pleasure to work with. I am a rather hard charging cyclist and over the past 10 years, Tim has managed to guide me through 2 knee scopes, a broken pelvis, shoulder injuries and a knee replacement with a mixture of grit and determination coupled with humor and innovation. His manual therapy techniques and specific exercise progression helped me stay on a bike when most people would have had to stop. After injuring my pelvis in Europe I returned with a diagnosis of a severe contusion. Tim realized quickly that the pain I was experiencing and the lack of response to initial treatment was an indication of a possible fracture and sent me to Dr. Connell where I was correctly diagnosed with a significant pelvic fracture. I trust his assessment and treament skills thoroughly. I recommend Tim highly to anyone, but especially people whose who are driven to maintain a high level of physical activity. My name is Katie Heenan Dodson, former USA Gymnastics National Team Member, USA World Team Member, and Worlds bronze medalists. There are many reasons I attribute to my success but probably the biggest is the physical therapy and attention I received for my injuries. In 2001 I was diagnosed with a fracture in my spine and put in a hard plastic back brace for 6-8 weeks. I thought my career was over or at least the level I was competing at would no longer be a possibility. I was sent to Sports and Spinal Physical Therapy in Washington, DC to work with some of the best manipulative therapists in the country, including Tim McCullough. I was told they would not only get me stronger but they also reassured me my dreams and goals for my gymnastics career were more than possible. The hands on treatment, expert therapy tactics, manipulative techniques, and the professional, yet almost family like atmosphere, helped me become highly competitive once again. I couldn't believe that just two months after being in the back brace I had made the 2001 World Team! I truly attribute that success to my therapists. 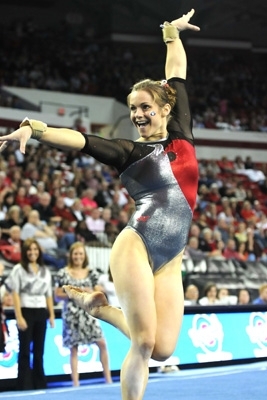 I also can say that the exercises, posture adjustments, and advice given to me to care for my back lasted through my collegiate career at the University of Georgia and into life after gymnastics. If anyone were to ask me who I would recommend for physical therapy I would say, without a doubt, Tim McCullough. He really made a difference in my sports career. 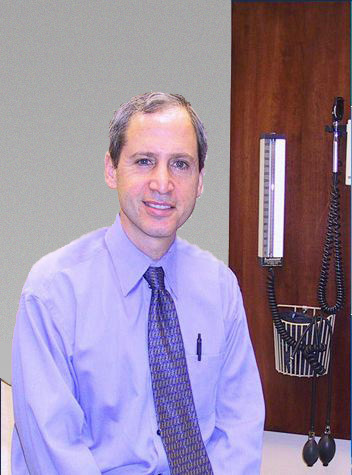 I am an internist in downtown Washington DC, and have been in active practice here for almost 30 years. Over that time frame, I have used many ancillary medical services including numerous physical therapists. However, during the past 10 years, Tim McCullough has been the main physical therapist to whom I have referred my patients. His training and innate abilities have made him uniquely qualified in treating many of my most complex and difficult medical patients. He has been instrumental in the care of quite a number of my patients, and has effected improvements where other therapists have been unsuccessful. Even though his practice did not participate in a number of the medical insurance programs of my patients, his superior capabilities made it worthwhile for many of my patients to see him outside of their own insurance network. They were not disappointed. Not only has Tim been a valuable asset in the treatment of my many patients, when I needed physical therapy services myself, I sought his capable care for my own medical needs. I found his treatment to be thorough, effective and professional, and I have made a complete recovery. In my four-person internal medicine practice, three of my four physician colleagues went to Tim for their own physical therapy needs! I have absolutely no hesitation in recommending Tim McCullough without any reservation for physical therapy services for routine as well as complex medical and surgical patients. I was sorry to see Tim leave the Washington DC area. I miss having him available for my patients, and have not found another therapist with his consistent level of skill to whom I can refer. Many of my patients still relate how their current therapists do not live up to the high standards and capabilities displayed by Tim. If any further information is needed regarding him, I would be happy to assist. Mr. McCullough and I worked together both professionally as colleagues and he was my sports and spinal Therapist over the course of many years. He is a terrific provider. Tim has earned the respect of his colleagues and certainly patients..
What was most remarkable about Tim's skill set was his ability to diagnose complicated problems and come up with effective treatment plans. Whenever I sent a complicated patient to Tim he inevitably figured out what the issues were and how to correct them. I was impressed by his abililties and would highly recommend him. I first met Tim McCullough in 2002 when I came to the United States to teach a Lumbar Spine course for his mentor and my friend, Peter Boyle of Sports and Spinal Physical Therapy. Peter was a highly skilled Manual Physical Therapist who mentored Tim for over 10 years. Tim made an impression on me right away with his eagerness to learn and his intuitive questions. I taught Tim on two more occasions and his growth in knowledge and dedication to excellence in the treatment of Low Back Pain impressed me. I have spent time with Tim at the last two Interdisciplinary World Congresses on Low Back Pain and Pelvic Pain, in Barcelona in 2007 and in Los Angeles in 2010. His commitment to staying at the cutting edge of Spine Care is evident by his efforts to attend these courses, form relationships with leaders in the field, and stay current with the latest research in his field. I would highly recommend Tim to any patient or medical professional. I am a practicing podiatrist in Washington DC and have known Tim for over 10 years. I have the unique opportunity of being both a referring physician and his patient. Tim has an incredible knowledge base and I have often turned to him for advice. His understanding of lower extremity mechanics is insurmountable and this shows in his thorough approach to each patient. He has great bedside manner and spends quality time with each patient. He has an excellent rapport with both patients and physicians. The feedback from patients is always enthusiastically positive. 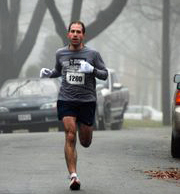 I am an avid runner and just completed my second Boston Marathon. Tim has helped get me through a number of sport related injuries. His recommendations and techniques have allowed me to run injury free for years, as I continue to hit new personal records. I cannot say enough about this fine individual. I have known Tim McCullough for many years and he is a highly skilled and extremely dedicated physical therapist who works tirelessly to get his patients better. He is an inspiration to all of us. "Tim McCullough worked with the Junior Tennis Champions Center for several years. He performed Injury Prevention Screenings and Physical Therapy with many of our top players over the years. Tim and Peter Boyle of Sports & Spinal Physical Therapy were an important part of building our program in its early years. The parents and athletes were confident that the athlete's health was being protected and monitored during those crucial years of development. 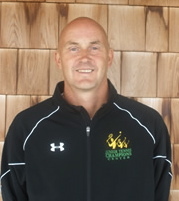 His knowledge and experience would be valuable to any Tennis Player or Tennis Program in your area." Since the age of 12, Tim has seen me for a variety of reasons including sprains and strains, biomechanical assessments, and long-term rehabilitation of a vertebral fracture. He helped me stay healthy and compete at a junior nation, collegiate, and professional tennis levels. From the ages of 12 to 18, I was the #1 ranked player in the Mid-Atlantic Section of the United States Tennis Association. I competed at the highest level of US junior tennis and earned a tennis scholarship to Arizona State University. I captained the team to a 14-0 start and #11 ranking in 2008 while capturing multiple collegiate doubles tournament titles. I was named to multiple Pacific-10 Conference teams and reached the finals of the conference doubles tournament falling to the eventual national champions. During and after college I competed as an amateur in International Tennis Association professional tournaments before retiring to attend Physical Therapy School. "Over the years I had the pleasure of working with Mr. McCullough ("Tim"). He was one of few physical therapist I encountered that had such an extensive knowledge of TMJ and craniofacial rehabilitation. He worked with my pre and post surgical TMJ and orthognathic surgery patients. He also assisted with non- surgical patients with chronic craniofacial and TMJ pain. My only regret is that Tim moved to NH. I highly recommend him." I am a rheumatologist in Bethesda MD, and when Tim McCullough PT was working in Washington DC, we shared a number of patients. Tim was particularly good with my most difficult rheumatology and hypermobile joint patients. He was particularly professional and receptive to the patients’ needs, as well as being an effective physical therapist. "We at Xtreme Acceleration have had the privilege of working with Tim McCullough over the past several years as part of our sports performance training business. 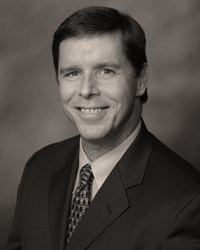 Mr. McCullough is a dedicated professional who demonstrates a high level of integrity and a keen focus on his clients' needs and future goals. We have referred many of our clients to him over the years as part of an overall rehab program to get them back up and running after an injury or to prevent future injuries. We focus on providing targeted sports performance training. Having a solid medical PT partner in Mr. McCullough has allowed us to round out our services to our clients. He has extensive experience working with amateur to elite athletes and he brings this knowledge and experience to the table in every client interaction. We have enjoyed working with Mr. McCullough over the years and would welcome another opportunity in the future." Tim McCullough has lectured to BCC Baseball's coaches and parents on the subject of injury prevention. His extensive knowledge of the game of baseball and how it is played provides the needed background for recognizing the potential dangers to a young athletes body. Teaching the boys how to properly warm up, throw the ball and after care are important to a player's regimen. The feedback from our audiences has been extremely positive. We are a league of 3200 players in the metro Washington Dc area. We miss having Tim's guidance and expertise. Denise Gorham Executive Director. "Timothy McCullough was part of a busy physical therapy practice to which I referred numerous patients over more than five years. As a former family doc turned trauma psychiatrist, I was well aware of the nuances of body mechanics that were stuck in gear, so to speak, long after traumatic experience ended, and long after young bones, joints, and soft tissue received punishment they never deserved. Tim was an outstanding contributor to the health and well being of my patients as he worked carefully and sensitively to help people heal. As a patient in that practice, as I recovered from an L4 disc, I can attest to Tim's gentle and straightforward approach. I recommend him highly." 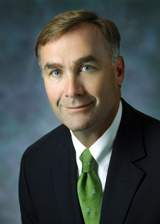 Richard A. Chefetz, M.D., Washington, D.C.
Tim McCullough has been putting our family back together for more than fifteen years. He has treated my husband through a myriad of problems as he has aged. Starting with recurring arthritic back issues from a sports injury; then to recovery from reconstructive shoulder surgery; then through two back surgeries and an arthroscopic knee surgery gone bad. Through all these injuries and surgeries, Tim understood Chris' individual needs and tailored techniques with persistence and empathy. In addition, he developed a close personal relationship that helped Chris understand his issues; he provided appropriate PT techniques while taking the emotional difficulties into consideration. As a diehard Red Sox fan, he was even willing to overlook my husband's rabid and long standing commitment to the New York Yankees! If he can treat my Chris, he can treat anyone! Tim is so dedicated to his patients that he came to our home on a Saturday night with his wife and week old baby to help us deal with issues following a MERSA infection incurred in knee surgery. Several years later after he had moved to New Hampshire, Tim opened his home to us and set up his table to check on some of Chris' recurring back issues. This is not your usual PT experience! In the midst of all these issues with Chris, he helped me through a subtle neck problem that had been frustrating me for months. Tim was able to quickly hone in on the issue and fix it almost immediately. Later, he rehabbed my knee post arthroscopic surgery. Under Tim's tutelage, I quickly had full use of my knee. Years later when visiting my family in Vermont, Tim came into the office early to treat me for a back spasm. Tim also treated my son Andrew. Andrew had shoulder surgery for a torn labrum in his shoulder and was able to resume full participation in college baseball. Eight years later the two met again in New Hampshire when Tim treated Andrew both before and after hip surgery. New to the area and without support, Tim invited Andrew into his home after his surgery. Again, above beyond the usual PT experience. We happily and enthusiastly endorse Tim any of your physical therapy needs. Not only will you get expert care, but you'll also love getting to know this kind, extremely professional and fun-loving man. Just don't bring your Yankees hat! Tim is terrific with young athletes, but he's also especially skilled and empathetic with older clients. My husband, in his late seventies, was having increasing trouble walking, and was diagnosed with nerve damage to his legs from radiation therapy. The neurologist said physical therapy would be useless, and offered to write a prescription for a motorized scooter. But our internist referred him to Tim, and my husband had a dozen more happy years, striding briskly with the aid of a snazzy rolling walker, and even walking the length of the corridor and around our home on his own. Tim knows every part of the musculoskeletal system and how it works. He has extraordinary skill in healing and restoring healthy movement. And he has a warm, empathetic way of relating to his clients that builds confidence, motivation, and health. He is great with young clients, with athletes in their prime, and with older people like me and my husband, who found new strength, confidence, and mobility in our eighties and nineties. What separates S.M.A.R.T. Physical Therapy from other rehabilitation facilities is the focus on activity specific Functional Rehabilitation. Tim McCullough's background as an Athletic Trainer and Sport Physical Therapist has provided him the opportunity to develop a treatment philosophy that is directed toward the patients functional outcomes. Tim understands his patients are individuals and have very specific levels of activity they hope to return to. His treatment goals and rehabilitaion program planning are developed and implemented accordingly. Having been involved in Athletic Training and Physical Therapy for many years and observed and worked with Tim, this focused philosophy and treatment approach has and continues to be extremely effictive and successful. One of the more debilitation pains in the body is the neck and back regions. Both of which I have had for a long time. I always thought it was just a function of maturing and thus put off seeking any type of treatment. Finally I searched for a PT specialist for the neck and back and found Tim McCullough. During the first appointment, which is usually an iformation session designed to accurately assess the region of pain; Tim zeroed in on the exact pain region and immediately applied manual therapy to the upper spine muscle area. Time targeted one very specific muscle in that area and utilized several different manual therapy techniques to which it had an immediate and lasting effect. More important is the education that Tim gave to me as to why he was targeting that specific area. That clear understanding of why has helped me to contunue specific exercises that Tim sent me away with in order to improve flexibility and reduce pain. Routine visits back with Tim and manual therapy have made all the difference in the world in relieving 90% of the old pain. Flexibility is markedly improved through the exercises Tim gave me and the combination of the two has given me back activites that were lost years ago. I was very fortunate to have found someone as knowledgeable as Tim in both manual muscle therapy and exercise regiments. I had an opportunity in 2007 to invite Tim to give a clinic to three of our neighborhood little league baseball teams for kids ranging in age from 7 to 12 years old. I asked Tim to discuss basic injury prevention techniques and good playing habits, as well as to explain common injuries related to baseball due ot reptitve motions and strain on a young person's joints, legaments, and rotator cuffs. Many parents attended the clinic and asked questions about pitch counts, icing shoulders after games, and what injury symptoms to be attentive to. The benefits of the youth clinic with Tim were threefold: The first was that the event created an opening for myself, the other neighborhood coaches, and the partents to discuss important issues related to the health of the kids, both durning that season and into the future. The second benefit was that the kids began to talk and ak questions about what good habits are necessary to prevent or minimize injuries. the third was that several parents established a direct connection wit Tim which afforded them the opportunity to ask more questions about sports medicine and physical therapy. Personally, Tim's clinic fit into my larger vision of the baseball program: to create a learning environment in whcih the dis can develop physically, mentally, and emotionally and compete safely and successfully. I sincerely hope that your program will have an opportunity to benefit from Tim's uique knowledge, perspective, and skills soon, too. I have been suffering for many years with headaches, jaw pain, dizzy spells, and severe neck problems. I met Tim about a year ago after many years of trying to find something that would help my pain. When I first met Tim he recognized my dizziness issue right away and believed we could carefully treat the neck and jaw without aggravating the dizziness, and that maybe the neck was involved in my dizziness problem. My severe neck and jaw problems were from a severe car crash and a bus accident in grammar school when I hit my head. He explained to me how head injuries can cause the upper neck joints to work incorrectly and could lead to the symptoms I was experiencing in my head, jaw and neck. The techniques Tim did in Physical Therapy were gentle and they helped my neck and jaw pain quite quickly. The amazing surprise is that the treatment also helped my chronic dizziness. Tim knew from the beginning that his would likely help because of the abnormal alignment or movement in my upper neck from his testing me the first day. I had gone to a chiropractor but he was never able to get to the main problem. Tim added some gentle exercises to help me keep the improvements in motion and strength and helped me improve my posture. I am so happy I met Tim because today I am free of dizzy spells and my neck and jaw do not bother me anymore. I can't say enough about the work Tim did to help me get back on my feet after years of chronic back pain and several failed attempts with other phycial therapist. Before seeing Tim, I had surgery to repair a herniated disc; after recovering from that, I was hit by a car while road biking and experienced a major setback. Tim immediately instilled confidence in me that I would IMPROVE. Unlike any other physical therapist or other medical service provider who treated me after my surgery and bicycle crash, Tim treated the cause of my back tightness and pain, rather than just the symptoms. Tim used manual skills to restore movement in parts of my back and body that had been tight and restricted for too long. In addition, Tim taught me how to "help myself", rather than rely on chiropractors and others, by teaching me strength and flexibility exercises to re-train muscles in a way to get the "tight ones" to do less and the "weak ones" to do more. Tim's treatment also helped me to do basic functional movements with less stress on my back. Because of Tim's treatments, I can once again skate, ski, and do many of the other things that make life fun and meaningful! I am writing this letter to enthusiastically recommend the new physical therapy practice of my former colleague, Tim McCullough, PT. As a Rheumatologist, I consider physical therapy to be an integral part of the treatment of my patients with arthritis and musculoskeletal disorders. Many patients need guidance to resume exercise or modify activities and need a skilled professional to supervise the rehabilitation process. I would frequently turn to Tim to provide this aspect of their care when he was at Sports and Spinal Physical Therapy in Washington, DC. 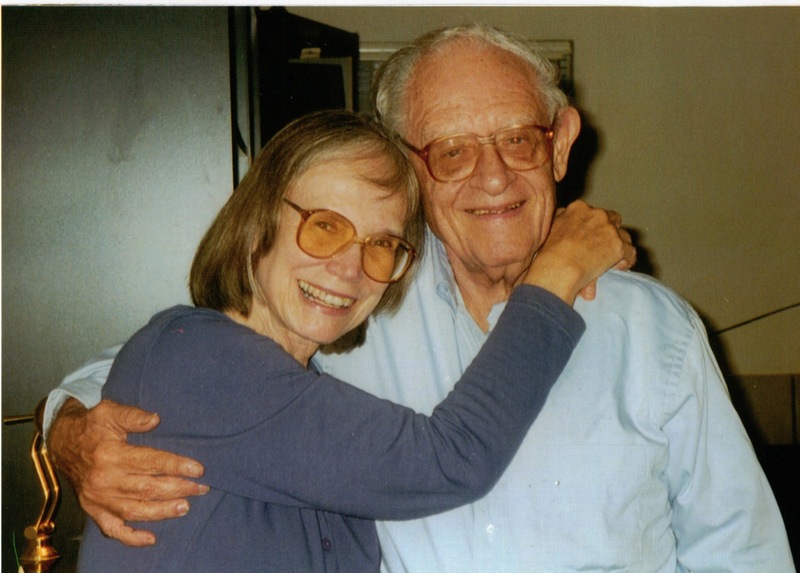 He was the therapist to whom I most often referred my patients. Tim is a talented physical therapist who is creative, patient, and caring. I value and respect his judgement and input. He has expertise in the management of a wide range of conditions, from osteoarthritis and rheumatoid arthritis to degenerative disease of the spine to fibromyalgia. He is a skilled Manual Therapist. He is excellent at communicating with patients and referring health care providers. Patients feel comfortable working with him, and a number who expressed skepticism about PT based on prior experiences changes their minds after working with Tim. He doesn't shy away from individuals with more difficult or chronic medical problems. While I was sorry to see Tim move away, I am excited that he will have the opportunity to have his own practice. I strongly recommend that you refer your patients to him for the excellent physical therapy care that your patients deserve.